Dear Friends, Famous Indian Hindi Entertainment Tv Channel Sony Tv is Launching a New show "Dil Ki Baatein Dil Hi Jaane". 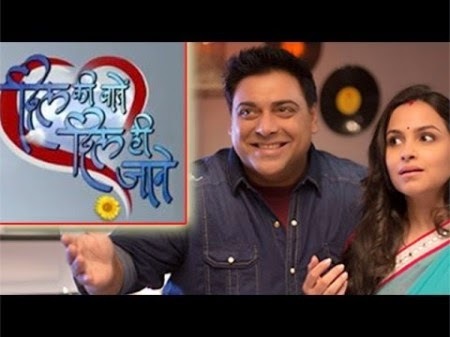 This show contains very Popular television Star Mr. Ram Kapoor and the Beautiful actress Gurdeep Kohli .The producer of the show is Guroudev Bhalla. Ram Kapoor is famous for His popular show Bade Acche Lagte Hai that broke all TRP records of Sony tv channel. This Tv Show is available live on Sony tv from 23rd March 2015. Dil Ki Baatein Dil Hi Jaane Tv Show is the Story of a couple Ram and Anandita. This show seems to be a love story drama which is all set to hit the TV Screens. In this Show Anandita who is suffering from a terminal illness and her husband Ram who is not ready to let go his wife and is ready to go to any extent to her. The show revolves around the Relationship of Ram and his wife Anandita (Gurdeep Kohli), who is suffering from cancer. In spite of so much of crisis in Her life, Anandita doesn't give up her belief and trust in God. In the promo,Ram is asking the the servent to remove the Mandir (Temple) from his House to Outside.